801-787-1668. 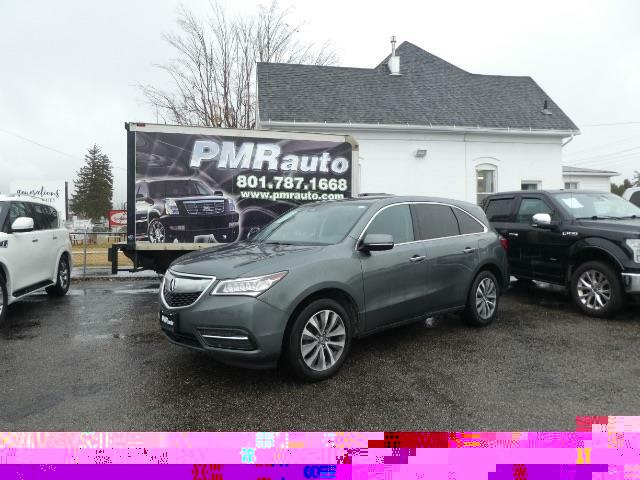 Stunning 2016 Acura MDX w/Technology Package, Remote Start, and AcuraWatch Plus. The AcuraWatch Plus package adds a forward collision mitigation system with automatic braking, lane-keeping assist, Road Departure Mitigation and adaptive cruise control. Clean Title. Navigation, Back-up Camera, Leather, Heated Seats, Power Sunroof and much more. Full Features Include: Technology Pkg, Hill Start Assist, Traction Control, Stability Control, ABS (4-Wheel), Keyless Entry, Air Conditioning, Power Windows, Power Door Locks, Cruise Control, Power Steering, Tilt Wheel, AM/FM Stereo, MP3 (Multi Disc), Premium Sound, XM Satellite, Navigation System, Bluetooth Wireless, Backup Camera, Dual Air Bags, Side Air Bags, F&R Head Curtain Air Bags, Heated Seats, Dual Power Seats, Leather, Third Row Seat, Moon Roof, Privacy Glass, HID Headlamps, Daytime Running Lights, Alloy Wheels YES! balance of manufacturers warranty fully-transferable at no cost to buyer from estimated start date of 5/29/2015: Basic: 48 months/50,000 miles Powertrain: 72 months / 70,000 miles Rust: 60 months / unlimited miles Price listed is INTERNET PRICE ONLY. Tell us you saw it on the Net. PMR Auto -- RIDE IN STYLE. Vehicle has a certified, clean & clear title. Free Carfax available for review upon request. Prospective buyers are welcome to perform a pre-purchase mechanical inspection.